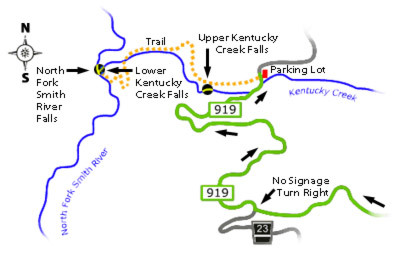 Kentucky Falls is a great day hike, but a bit of a driving adventure to find. The trail head is about 1 1/2 hours drive from Eugene, Oregon. Check out oregonwild.org or planeteugene.com for driving directions. Once you get there though, you will feel like you have stumbled upon an amazing hidden treasure and it will be worth it. I like coming here in the spring when rhododendrons and dogwoods are in bloom along the trail. The lighting for photography is best at Upper Kentucky Falls in the afternoon when the sun peaks through the top of the falls. I have not found the best lighting for Lower Kentucky Falls. The sun shines directly on the Lower Falls in the afternoon, and I have not yet arrived earlier in the day to photograph at that time. 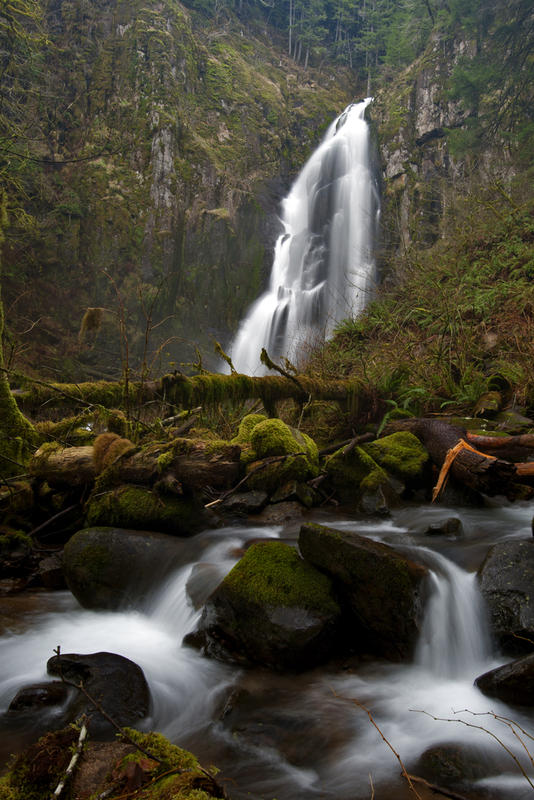 I have gotten lucky and photographed the Lower Falls on a hazy overcast day. 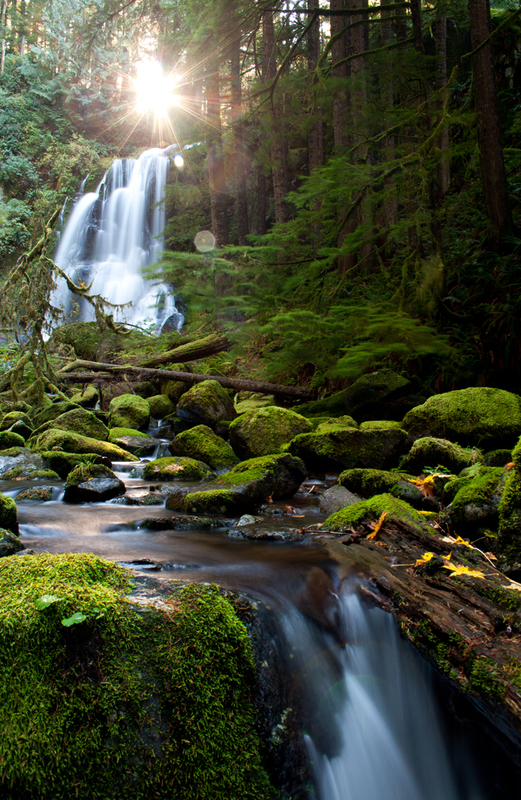 Remember your tripod and shoot with a long shutter speed to get that silky smooth effect from the flowing water. One of two waterfalls at the Lower Kentucky Falls viewing area. This waterfall does not always have water in it and usually flows in winter.